Oct. 31, 2012, 1:03 p.m.
By Justin Ellis @JustinNXT Oct. 31, 2012, 1:03 p.m.
News.me’s announcement last week that it was pulling its iOS apps for iPad and iPhone surprised more than a few. For over a year, the Betaworks-backed news discovery tool has offered users a way to cut out the clutter and find the news that matters to them as filtered through their friends on social networks. News.me won’t entirely die. While the apps have been pulled, Betaworks will support it for people who have already downloaded it, and they’re also continuing the News.me email newsletter. But we can expect to see the lessons, if not some of the tech, from News.me to show up in the new Digg, which Betaworks bought in June and relaunched in August. I spoke with Levine about what they learned from News.me’s short run, how platforms affect how we read news, and what from News.me will wind up in the new Digg. Here’s a lightly edited transcript of our conversation. Justin Ellis: Let’s start with the decision itself. How difficult a decision was it to make, given what you’ve invested in the product? Jake Levine: It was a tough decision. There are users that use the app every day, and fortunately, as I said in the blog post, we’re going to continue to support the apps for those users. I would say that, though we’re investing fewer resources into the News.me brand, we’ve got this new thing called Digg were I think we have an even bigger chance to make an impact on how people find and share news. Yes, News.me as a brand, as an app in the App Store, is going away. But the exact same team with the exact same challenges is investing their time in what I think has an even stronger chance of having an impact on how people find and share news. Ellis: What’s your read on why Twitter is tightening its API? Levine: I don’t know. Anything I say would be totally speculative. Your guess is as good as mine. When we looked at the trajectory of their products — like everyone, trying to read between the lines of their latest API blog post and messaging — and it became clear to us that investing in a product that looks a lot like their current product is probably not a good idea. I think there’s room for something that is social, that’s conversational and has opportunities for interaction, but that isn’t overwhelming for people. Ellis: Andrew Phelps wrote about this for us a while back, how this was a wakeup call for people about relying on third parties when you build something. Was it a wakeup call? Levine: Not really. When you’re a little startup and you’re looking at ways to evaluate or test a certain market thesis, building depends on using the core players like Twitter and Facebook. It’s an obvious choice, because it gives you distribution quickly and it gives you data quickly on which you can experiment — although you know that comes with a tradeoff. And at some point, depending on the direction of the larger company, you may have to adjust. It’s a pretty well-known tradeoff, one that goes back pre-internet. Ellis: You said in the blog post you guys are going to be taking some of the lessons from News.me and incorporating them into Digg. What have you learned about personalized news and figuring out what people want to read through News.me? Levine: A lot. The mobile thing goes without saying, but I’ll say it anyway. We spent a year building products for iPad, iPhone, email — and we shouldn’t forget that email is in many way a mobile product, particularly if you are sending it early in the morning. So thinking really carefully about what sort of experience that form factor lends itself to has been important. And I think that’s validated itself over the last couple of months with Digg. When we took over Digg there was no mobile experience, I think there was probably somewhere between 10-15 percent of all traffic was on mobile to Digg.com. In the last 12 weeks we now have, of our total daily active user base, 30 percent of them are on a mobile device, either a phone or tablet. So the importance of thinking carefully about a mobile experience and catering to that type of engagement can’t be overstated. That’s something we’ve taken a lot from our experience at News.me. We learned that news has this sort of informational utility to it. These aren’t new ideas — but this sort of informational utility, like “is there a hurricane bearing down on me right now?” But there’s also this social utility to news — we read news in order to interact around it. My Twitter stream right now, and I’m sure your Twitter stream right now, is like a chat room about the hurricane. So these objects, like maps, articles, images — they serve as opportunities for humans to connect. That’s something we spend a lot of time thinking about at News.me. I mean, it was a personalized product — it was built on top of things shared by your friends on Twitter and Facebook. The ideas was to make the discovery of news by other people a little bit more convenient, a little bit more, I guess, approachable and digestible for people. One of the things that happens to come with this notion of social discovery is just information overload. Twitter is a great social product, but it’s also a product that will give you 50 articles to read every hour. There’s a type of news reader that wants both the social product and the product that gives them 50 articles per hour. But most people really don’t. I think in some ways our experience with social news has conflated those two things over the last two years. It doesn’t have to be the case that a social news product is overwhelming, I guess is my point. I think there’s room for something that is social, that’s conversational and has opportunities for interaction, but that isn’t overwhelming for people. Ellis: One of the things I really liked about News.me was the daily email, because it was a simple digest of “here are eight things.” It was contained, and it seemed to offer a simplicity of design. We’re not thinking about how do we drive more people to Digg, or how do we drive more people to News.me. We’re thinking about how do we make people happy so that they come back and use us more. In fact, we tested this thing at one point where in the bottom section of the email we would write little blurbs about the three big stories that are happening right now. We would have a link at the bottom. But the goal was not to get you to clickthrough. In fact, our clickthroughs didn’t increase. But people told us over and over again that they really enjoyed that part of the experience. Part of the way that news is designed, that news is distributed, that news is produced, is based on this business logic of “we need more pageviews to pay for our journalists and our costs.” That business logic, I would say, has nothing to do with the user experience — and sometimes makes the user experience worse. I don’t really have a great solution, and we’re fortunate that we are a venture-backed company so we don’t have to worry about pageviews at the moment. I realize we’re fortunate and that’s a luxury. But that does mean that when we design, both from a visual design perspective but also a content design perspective, we’re not thinking about how do we drive more people to Digg, or how do we drive more people to News.me. We’re thinking about how do we make people happy so that they come back and use us more. And we’ve got something like 78 percent of all our visits on the web on Digg are returning visitors. Those are the metrics we’re paying attention to, not pageviews. Ellis: I’m wondering about the delivery method. We talked about the newsletter, the iPad app, the iPhone app for News.me. How does that delivery method or platform affect how we read and what we choose to read? What did you guys see in how people interacted with those? Levine: The most recent data we have is with Digg, and people are reading about five times more on their iPhone than they are on the web. Now, part of that has to do with the fact that when they’re on the iPhone, they’re not leaving the Digg experience and can easily go back. But part of that, I think, is also an appetite and the pace at which people are consuming. There’s been lots of research and data around how people are using iPads and iPhones and I won’t bore you with that. Our data pretty much maps to the rest of the industry, in terms of people are using their iPad at night and in the morning, and people are using their iPhone pretty steadily throughout the day. The web dips on the weekends and iPhone and iPads remain steady. It goes from maybe 30 percent of use to 40 percent of use on weekends. There’s sort of a time-of-day component, and I think time of day can also be translated into type of content. So if it’s a Sunday afternoon, people are probably more likely to be reading longer thought pieces than quick, snappy updates. I think what we try to be careful about — and we haven’t really done this with Digg, but it’s important we start thinking about it — what type of content does each device lend itself to? Ellis: Who’s reading Digg? You talked about the breakdown on iPad and iPhone, but are these people that were fans of Digg before? Are they discovering Digg for the first time? We have a team of folks who sit on top of all these signals — Twitter, Facebook, Bitly, Charbeat, and Digg — and they try to piece together a representation of what the Internet is talking about. That’s the new Digg product. Levine: It’s all direct traffic cause we have no pages. We’re just this sort of thin layer on the Internet, and 90 percent of the links on the page are out to other publishers. So the growth outside of existing users has been word of mouth and some press coverage. I would say we’re trying to still get a handle on the users that are coming into the new Digg experience. There’s certainly a strong base of users from the old Digg, people that were continuing to hit the site up until we took it over. That’s probably the vast majority of our users. But we do seem to be attracting a new type of user, and these are people that we’re just getting insight to on Twitter. People are saying, “I found this cool new thing called Digg I’ve never heard of before.” It’s unusual, but there is that category of users that seem to be finding it for the first time and seems to be enjoying it. We have a lot of work to do to make it more social and make it more open to participation. But the type of user who went to the old Digg and thought “there’s too much community here,” those people are finding a fairly approachable product in the new Digg. I think we need to figure out how to please both types of users, so that’s what we’ve got to be focused on in the next few months. Ellis: What do you mean by find more ways to make it social? Levine: When we set about rebuilding it, there were two constraints we had in mind. One was we had six weeks to do it, so we had a really tight focus on what was going to be important to the users and what people would be expecting when they came to Digg. What we learned through early use of the product and as much research as we could do talking to Kevin [Rose] and others at Digg, is that people were coming to Digg to find great news stories. We knew we had to deliver on that promise. The second thing was that we needed to build it for a new social web. In 2004, when Digg was founded, there were very few places to talk about news on the Internet. You could publish a website and there were comments. But there was no conversation on Twitter. Facebook was a list of profile pages. A place to share links and vote on links and talk about links? Digg was one of the few places where that could happen. Fast forward eight years to 2012: We now have way too many places to talk about things and way too many places to share things and essentially vote on them. When you retweet something, you’re voting on something. When you “like” something on Facebook, you’re voting for it. We said we have six weeks to do this. We need to get great stories on the Digg homepage. Trying to rebuild a community in weeks is something we know takes time and attention. With the kind of features that you build for community products, it’s not actually about shipping quickly — it’s about listening to your community. And in some cases — and Reddit has done a good job of this — it’s about shipping slowly, following your community, finding out what features are important, and building them alongside the community. We knew that in six weeks we weren’t going to be able to accomplish that. But we still wanted to infuse it with this conversation and give people insight into corners of the Internet, and pockets of conversation that they wouldn’t have otherwise been able to find. So, here we were sitting on top of a bunch of Twitter data via News.me, a bunch of Facebook data via News.me. We’re sitting on the Bitly dataset, which is what people are clicking on across the web, the Chartbeat dataset, which is what people are looking at across the web. We want to try to piece together this sort of combination of algorithms — sitting on top of these datasets — and try to bubble up meaning by way of machines, networks — which is this social interaction, which we want to form the foundation of the Digg experience, and also represents what we want people to do with the content once they read it and enjoy it — and, finally, editors. We think there’s a role for human editors, human moderators in social products, community products, and news products. We have a team of folks who sit on top of all these signals — Twitter, Facebook, Bit.ly, Charbeat, and Digg — and they try to piece together a representation of what the Internet is talking about. That’s the new Digg product. To my point about where we want to go in the next few months, it’s about creating a space for that community — the Digg community — on Digg.com. Not because we want to own pageviews, but because the walls of a domain name actually make for a decent space for community and affiliation to emerge. POSTED Oct. 31, 2012, 1:03 p.m.
Ellis, Justin. 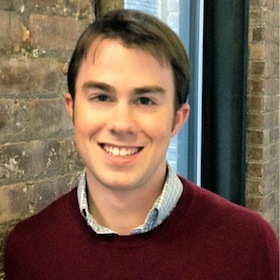 "Wednesday Q&A: Jake Levine on the fate of News.me, personalized news, and reinventing Digg." Nieman Journalism Lab. Nieman Foundation for Journalism at Harvard, 31 Oct. 2012. Web. 19 Apr. 2019. Ellis, Justin. "Wednesday Q&A: Jake Levine on the fate of News.me, personalized news, and reinventing Digg." Nieman Journalism Lab. Last modified October 31, 2012. Accessed April 19, 2019. https://www.niemanlab.org/2012/10/wednesday-qa-jake-levine-on-the-fate-of-news-me-personalized-news-and-reinventing-digg/.